Nothing offers more relaxation to a tired mind and body than the Sameera Rose Powder. 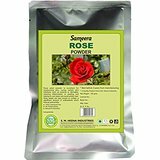 The company has cemented its position as a Manufacturer, Exporter, and Supplier of Sameera Rose Powder. The Sameera Rose Powder can remove dead cells and sooth the burns while preventing the ill effects of aging and balancing the chemistry of the facial skin.